Kelburn Garden Party will be celebrating its tenth birthday this year, promiding Music, Art, Adventure. 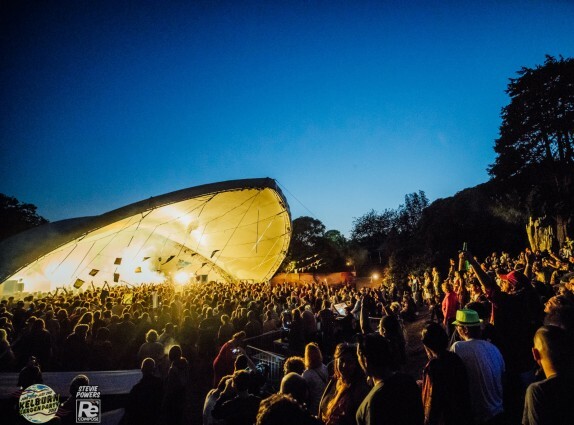 Kelburn Garden Party offers festival-goers on a unique journey, combining a dazzling array of live bands and top DJs, installation art, physical performance and cabaret set throughout bespoke stages and spaces in the stunning natural glen and gardens around the 13th century Kelburn Castle. This years line up includes: Leftfield (DJ Set), Gentleman’s Dub Club, LTJ Bukem, Shooglenifty, Colonel Mustard & The Dijon 5 and Aba Shanti-I. The festival has also announced a number of exciting partnerships are in store with takeovers including a 10 Years of Optimo Music programme curated by JD Twitch - a Kelburn exclusive! The Skinny return to mount a day of exciting new Scottish music on the Pyramid Stage, and the Sub Club’s new jazz promotion Era Suite take over the Viewpoint Stage on Saturday afternoon for a session curated by DJ Rebecca Vasmant. Scotland’s premier bass music promoters Electrikal present LTJ Bukem on the new Landing dance stage. 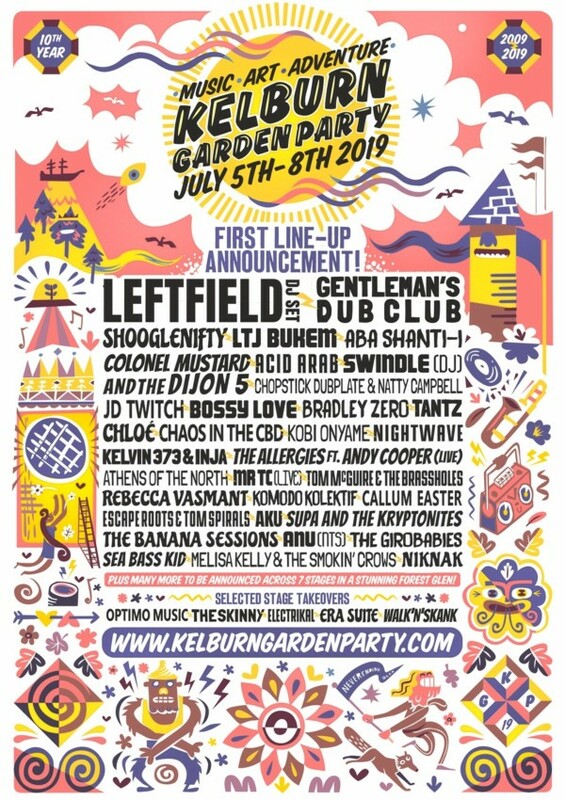 Kelburn Garden Party takes place from Friday 5th - Sunday 8th July in the grounds of the stunning Kelburn Castle.